For those on this planet who strive for human rights and equality–three steps forward, two steps back. Also in 2003, we completed work on Experiment: Gay and Straight. It was the result of nearly one year of an exhausting struggle to bring this project to completion, and for the original intended “vision” of this revolutionary and unprecedented “experiment” to be realized, broadcast, and shared. By approaching the subject through the eyes, minds and worlds of straight people, as well as gay people, Experiment: Gay and Straight aimed to help a majority group (heterosexuals) and a minority group (homosexuals) reach a better understanding of one another by discussing, debating and, in some cases, even resolving their differences in an environment where “political correctness” was nowhere to be found–by design. We acknowledge our approach might have been controversial and unorthodox to some. But to those who recognized that most television news and its coverage of serious-minded subject matter was often stale, dull, and redundant, Experiment: Gay and Straight offered up a fresh voice, an intriguing alternative, an eye-opening challenge. Above all else, we took a chance, a risk, and helped both our participants and our viewers scrutinize their belief systems and thought processes in a way never before attempted on television. For this project, five gay and five straight Chicago-area residents (all strangers to one another) were sequestered inside a three-bedroom, three-bathroom house on the city’s north side for seven straight days. The ten individuals of varied backgrounds, ethnicities and prejudices (five male, five female, ranging in age from 23 to 47) were selected from more than 800 applicants. Once chosen, the ten participants agreed to leave their jobs and their families for the entire week. Inside the home, the housemates ate, slept, cooked, cleaned and socialized together; they entered the arrangement fully aware that they might be entirely cut off from the outside world–no phones, computers, newspapers, radio, television, etc. The participants were also given daily assignments, tasks, and challenges involving sexuality. 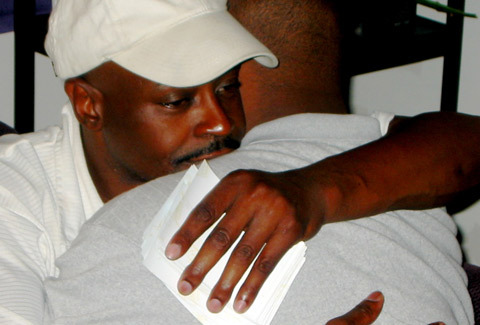 Topics addressed included gay marriage and parenting, harassment and violence, coming out, growing up gay, homosexuality and religion, genetic and environmental influences, whether or not being gay is a choice, whether or not gays can be “changed”, stereotypes, homophobia, HIV and AIDS, and gays’ impact on American culture. In the evening, the group watched video presentations related to gay/straight issues and each housemate was given a packet of articles at bed time to peruse in preparation for the next day’s discussions. The emotional and enlightening results were videotaped 24 hours a day by several cameras. The group was forced to continually confront the issues because there was truly no place for them to run or hide. Though all arrived ready to defend their strong opinions, they were also willing to change them if convinced otherwise. It took several months of tireless efforts, however, before videotaping even commenced. The house had to be found, rented and equipped, and our 800 applicants had to be screened. 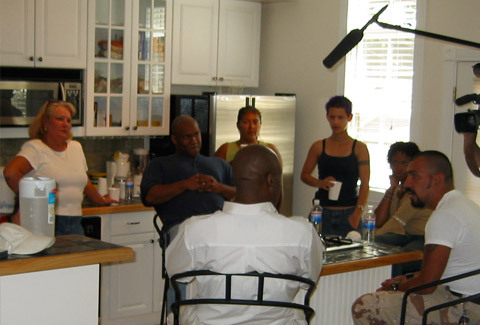 Approximately 100 people were interviewed in person, on-camera, in sessions lasting as long as 45 minutes each. After extensive criminal background checks were completed, we selected our ten finalists. When the taping was completed, we left the house with 164 hours of digital beta tapes and camcorder cassettes and began logging, examining, and molding them into the program. It was an enormous and almost overwhelming challenge. In the end, we believe that much of what was expressed by these participants often echoed the views of the general public–opinions and feelings many people might voice privately but fear or resist saying aloud because of the potentially negative repercussions. In Experiment: Gay and Straight our housemates were refreshingly and sometimes stunningly honest. There is no tip-toeing around any issue whatsoever. Community reaction to the documentary was truly overwhelming. 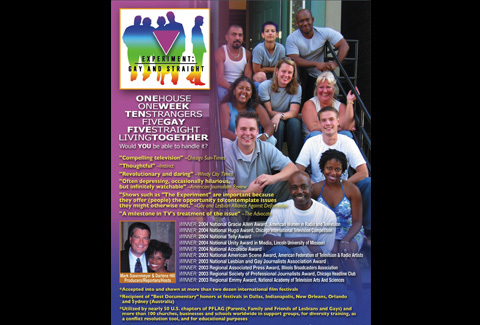 Hundreds of educators from churches, workplaces, schools and universities throughout Chicago–and even across the nation–asked for copies of the program to use in sexuality, psychology, sociology, journalism, conflict resolution, and diversity/sensitivity training classes. We’re also proud to say that more than 40 chapters of PFLAG (Parents and Friends of Lesbians and Gays) added Experiment:Gay And Straight to their libraries and held discussions about it at their meetings. In addition, the ten housemates were invited to speak about the project on radio stations, at high schools, universities, and at a wide variety of gay and lesbian organizations. We then launched the project on the film festival circuit and it was accepted into and shown at nearly two dozen international festivals in cities around the globe. They included: Auckland, Austin, Breckenridge, Brussels, Cape Town, Denver, Detroit, Durban, Erie, Johannesburg, Los Angeles, Memphis, Mexico City, Montreal, Philadelphia, Rochester, Salt Lake City, San Diego, San Francisco, Seattle, and Washington D.C. 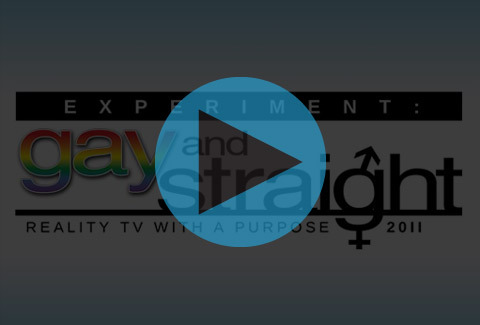 In Dallas, Indianapolis, New Orleans, Orlando and Sydney, Experiment: Gay and Straight was named by audiences and/or juries as Best Documentary. To reiterate, our ten housemates were willing to risk their reputations by voicing their true–and sometimes unpopular– views publicly. And they did so to not only work through their own issues, but to hopefully help those watching as well. Although the participants ended their week together with many issues between them still unresolved, we think it’s safe to say that everyone involved in this project gained a better understanding of one another. Each person worked diligently towards bridging the divide between gay and straight Americans. And with any luck at all, what viewers saw–and will see–on the screen may prompt them to work towards resolving their own issues about sexuality. Comments will be posted following administrative approval. The Reporters Inc. is a 501(c)(3) journalistic nonprofit dedicated to social change.